In mid October, we paddled the first 70 miles of the Suwannee River aboard the 15ft Sol Fiesta Standup Paddleboard. Beginning in the gator infested waters of the Okefenokee swamp, we paddled all the way to the raging waters of Big Shoals. While traversing Florida’s only Class 3 rapids, we got hung up on a rock. Squatch had to jump into the water in order to stop the board from going over the falls sideways, cutting his toe on a sharp rock in the process. Fortunately we were able to get help from our friends who cooked us dinner and let us use their car to go to the hospital to get stitched up. 8 stitches and 1 antibiotics prescription later, we were headed back to Jacksonville to wait out the healing process and plan our next attack on Big Shoals. We will set off on Part 2 of our journey in mid December. On this leg, we hope to increase the amount of trash that we pick up everyday and spend more time documenting Florida’s natural beauty. We plan to complete the full 246 Miles of the Suwannee River in multiple parts instead of our original plan to conquer it all at once. This will help us maximize trash collection and generate as much interest as possible in our efforts to bring awareness to keeping our waterways cleaner and preserving Florida's wildlife corridor. Both of us have a strong passion for wildlife conservation and a desire to preserve our outdoor playground for future generations. 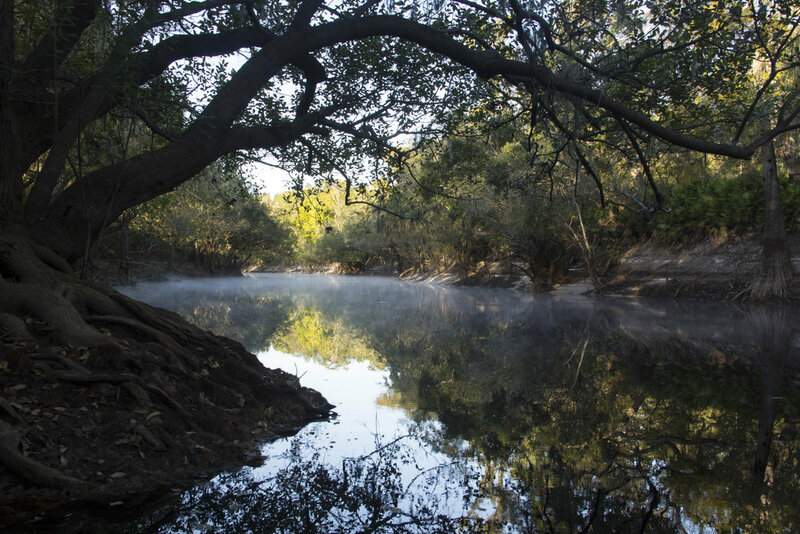 The Suwannee River is one of the last unspoiled rivers in the Southeast United States, and we want to help keep it pristine. We love taking care of the environment, but sometimes the equipment we need to get to the places we clean can get expensive! 100% of your donation will fund the Sweep the Suwannee River trip. Plus, we will put your name on the back of our T-Shirts that we will be wearing on our journey.